St Croix Map, Where is St Croix? Do you need a passport to go to St Croix or St Thomas in USVI? St Croix vacation rentals just got better! Villa Margarita is a beautiful beachfront villa with a crystal-fresh pool and simply amazing sea views. Quiet and secure, romantic and secluded for privacy yet minutes away from the island’s main attractions and entertainment. We offer individual and spacious suites, each with their own private bath, kitchenette, and balconies to watch both sunrises and sunsets over the inviting turquoise waters only a few feet away! Plus free WiFi, parking, kayaks, snorkel gear, a/c, Tiki Bar, Jacuzzi, sun deck, hammocks, outdoor grills, and lots more! 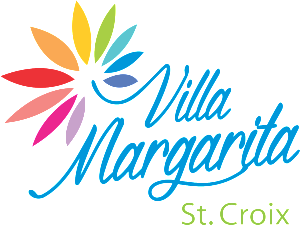 We are one of the few St Croix vacation rentals where you can rent the whole villa or individual suites. We’re a big hit with honeymooners as well as grown families. So come to the best island in the US Virgin Islands, and experience the ideal Caribbean holiday you’ve always dreamed about with the relaxed oceanfront lifestyle at Villa Margarita!